Rate Yourself! How Productive Are You? 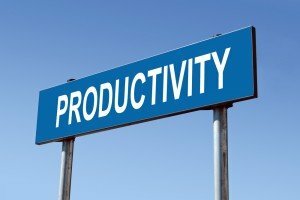 Productivity is a big topic these days in the workplace. Management teams are feeling the pressure to do more with less, which translates into finding and keeping the most productive employees. [poll id="15"] Share your tips for success! Now, tell us in the comments section below what you think it takes to be highly productive in today’s competitive workplace. Share tips and ideas for being more productive and less stressed – we want to hear your thoughts! You can tweet your answer too - just use the #CareerBG hashtag if you do!